That’s the kind of thing that makes me twitch with annoyance. 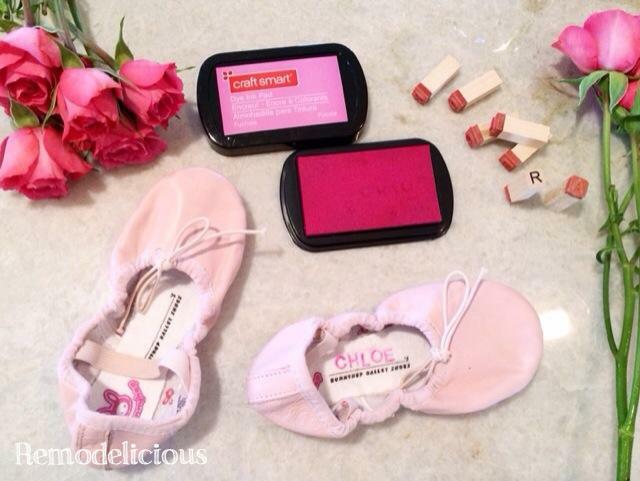 Now that I’m about to have TWO tiny dancers, I had to find a real solution. I wanted it to be something clear enough for them to read (or at least Chloe, who can recognize both names) so I can have a little help keeping track of dance shoes while teaching responsibility. Then it hit me. STAMPS! These were left over from one of our annual Christmas tree ornament projects and the pink dye ink pad was left over from some things I made for Chloe’s ballerina birthday party last year. 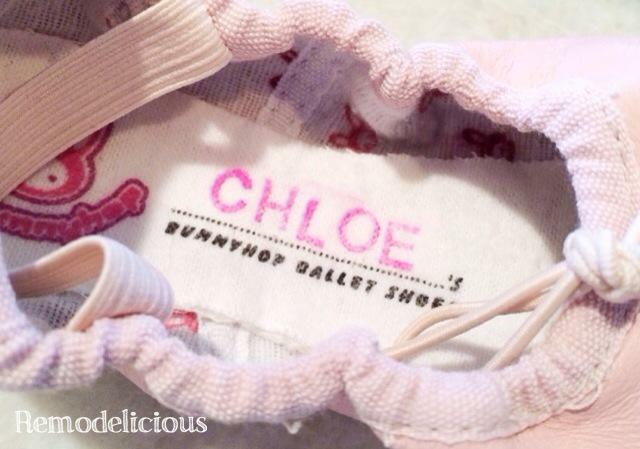 The new ballet shoes I bought had a place for a name to be written in. Someone was thinking on these. 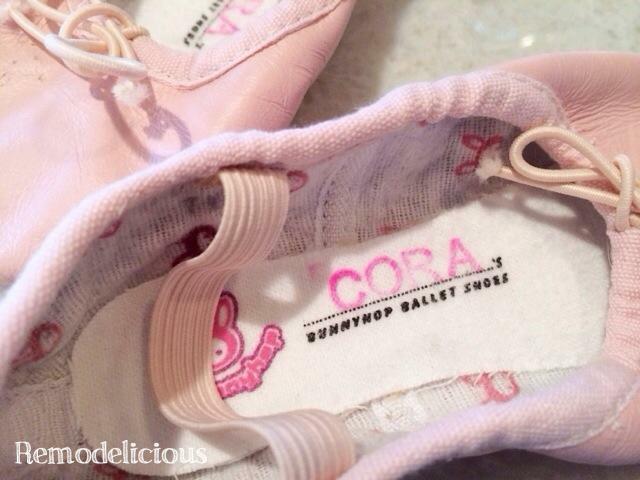 This is Cora’s first pair of ballet shoes so I wanted them to be extra neat. I framed Chloe’s first pair in a shadow box (after fussing for 9 months of classes to keep them clean by only wearing them at dance class) and will likely do the same for Cora. Chloe takes dance very seriously and has a knack for an organized and aesthetically pleasing world (a nice way of saying she’s type-A). I’m very happy with how this turned out. It looks so much nicer than my previous attempts at labeling with a Sharpie.